During the two-day-event almost all USAF aircraft will be shown in the air and on the ground. Nellis Air Force Base will be holding its annual open house called "Aviation Nation" on Saturday, Nov 11 and Sunday, Nov. 12 in Las Vegas. 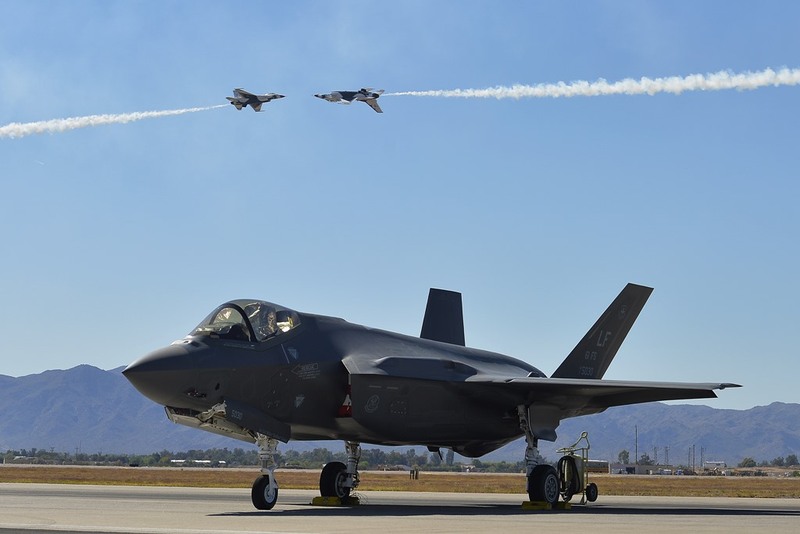 The event is the perfect opportunity to see in the flying and static displays almoust all USAF aircraft including the national Thunderbirds aerobatic team, based out of Nellis. The 2017 Open House is hosted by the U.S. Air Force and celebrates its 70th Anniversary. Guests will be able to view military aerial demonstrations, including a performance by the Thunderbirds. The event will also feature Air-to-Air and Air-to-Ground Demos (Warfighter Demo) and a heritage flight. In addition, during the Aviation Nation 2017, a special color F-15C will be unveiled. It was repainted to recognize the Air Force's 70th Anniversary as well as the unity between the Las Vegas community and Nellis AFB. The Open House begins at 9:00am each day and admission is free. Air shows begin at 10:00am and continue throughout the day. Buses from Las Vegas Motor Speedway to base start running 9:00 am and stop taking guests to base 1:00pm. Gates Close 5:00pm. We have included the program posted on Nellis AFB website, but we are requesting confirmation from a local Officer.